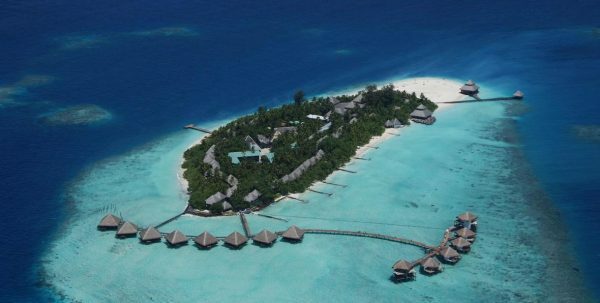 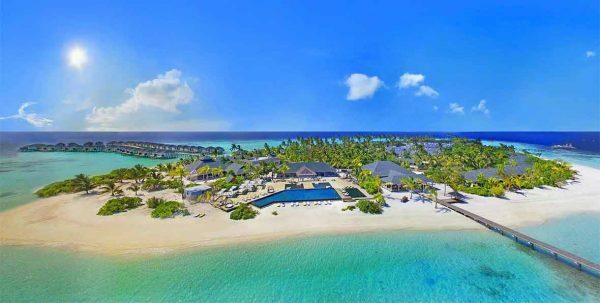 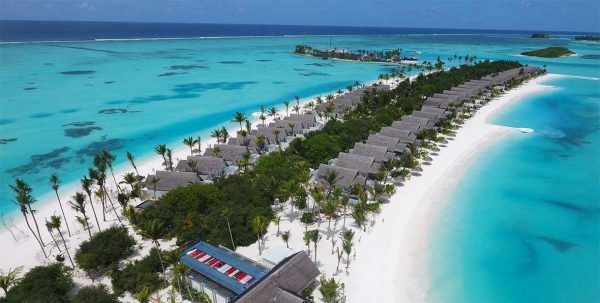 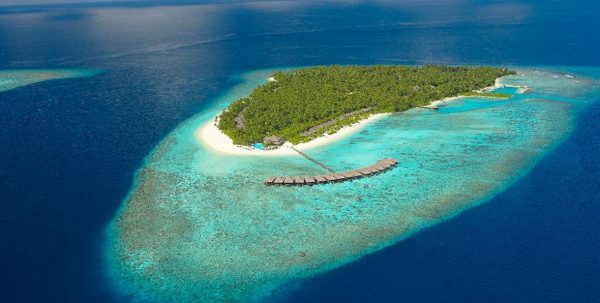 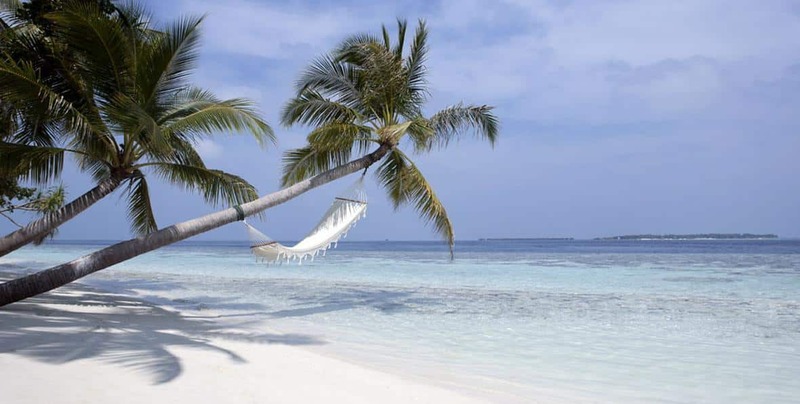 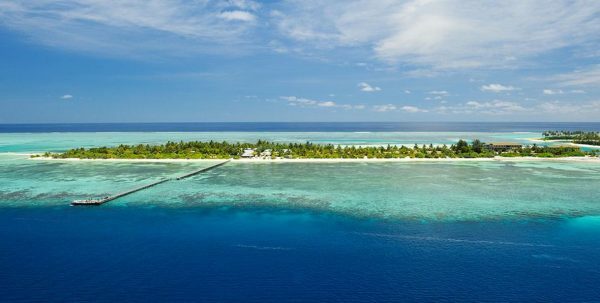 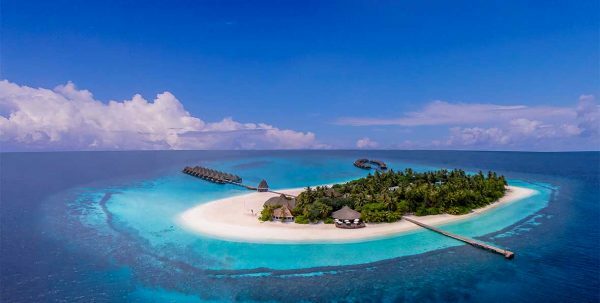 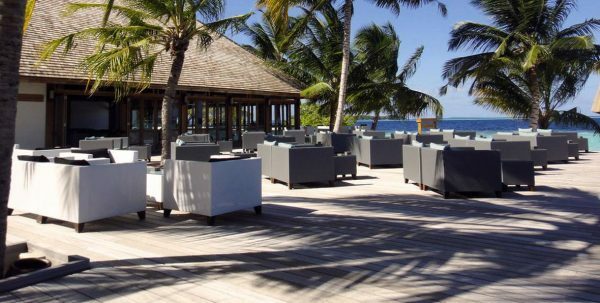 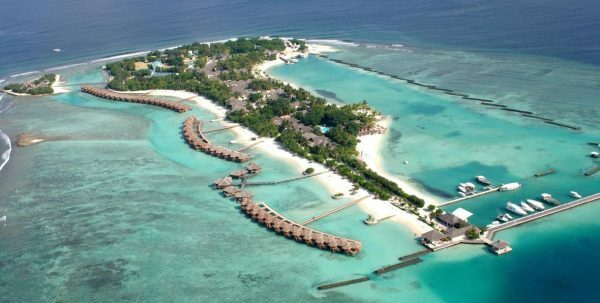 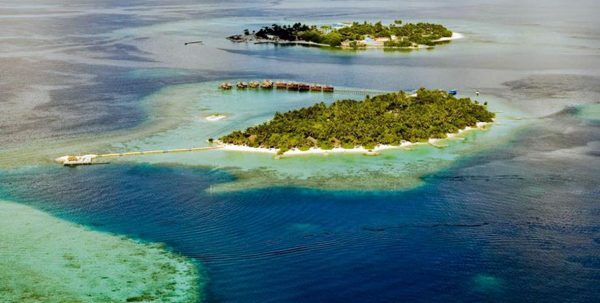 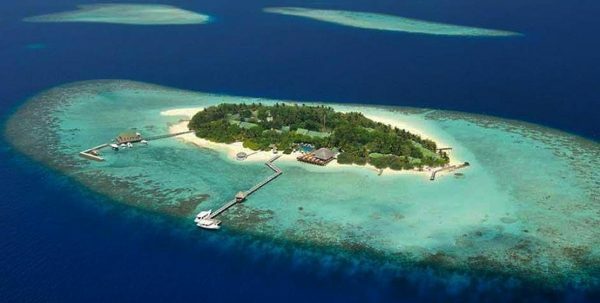 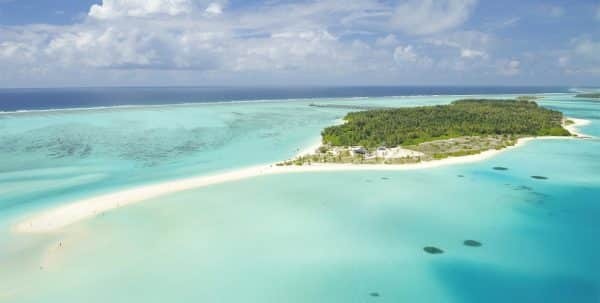 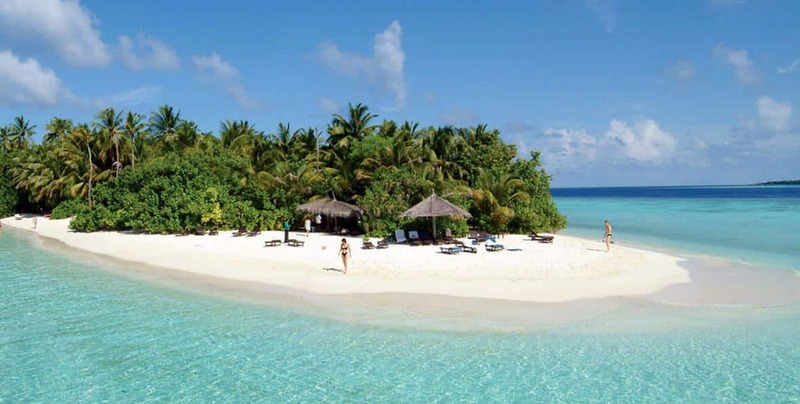 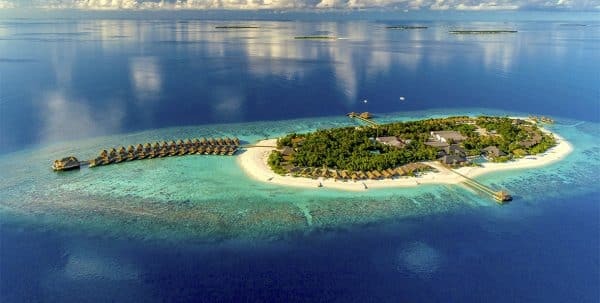 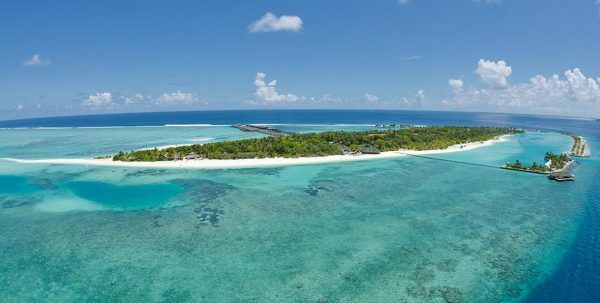 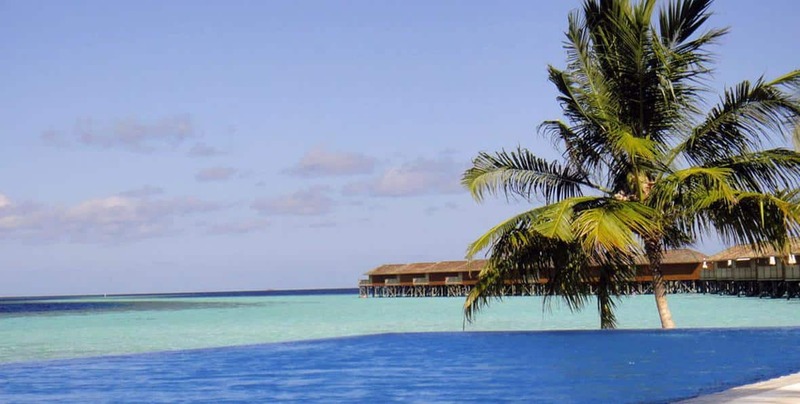 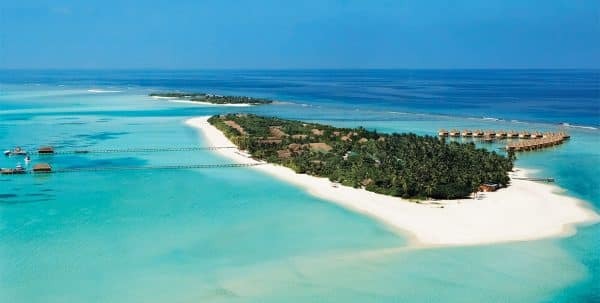 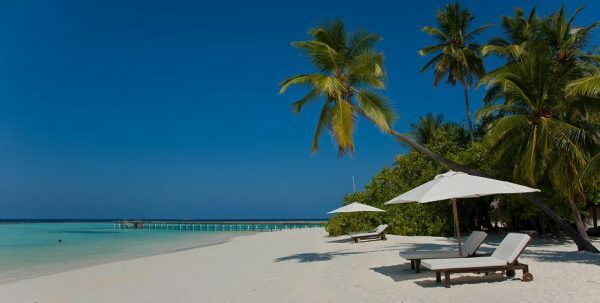 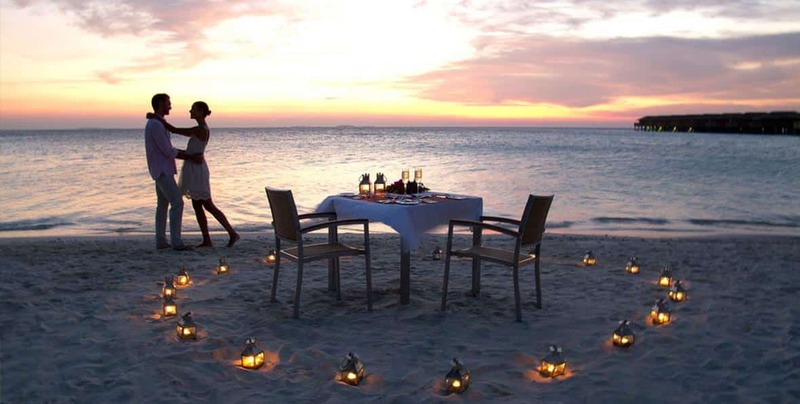 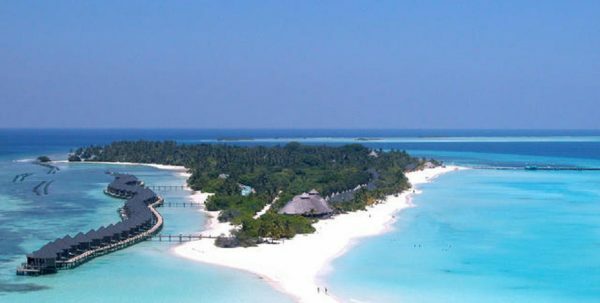 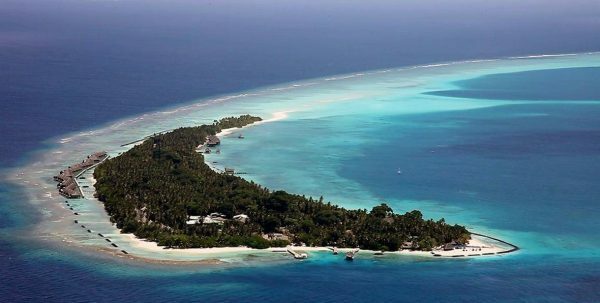 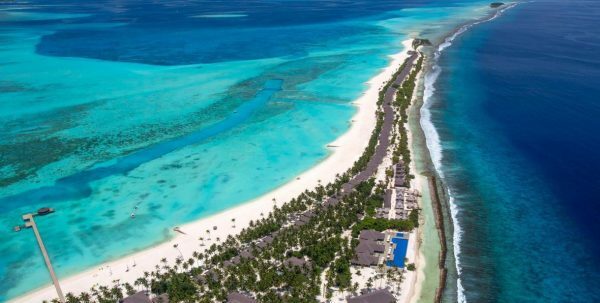 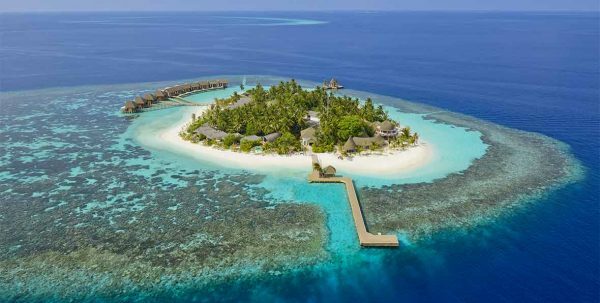 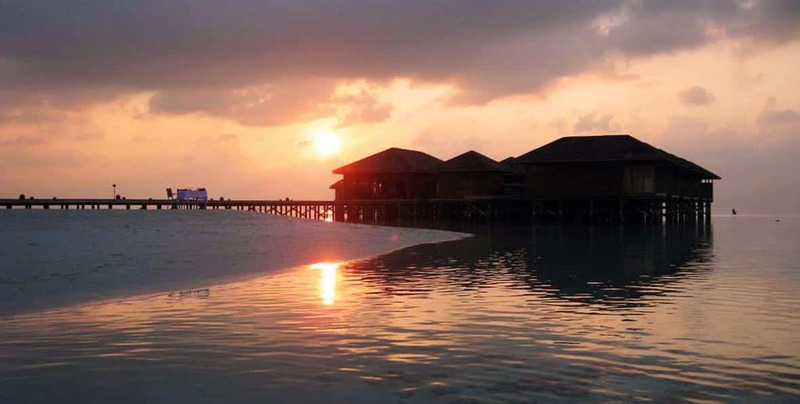 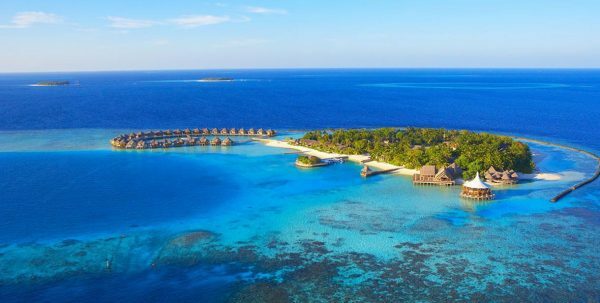 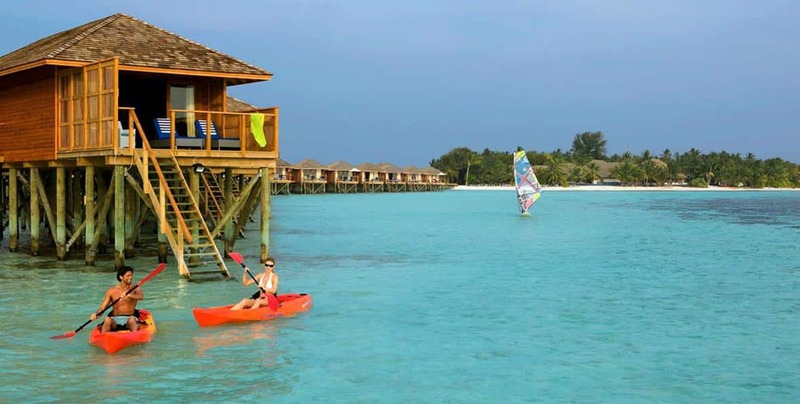 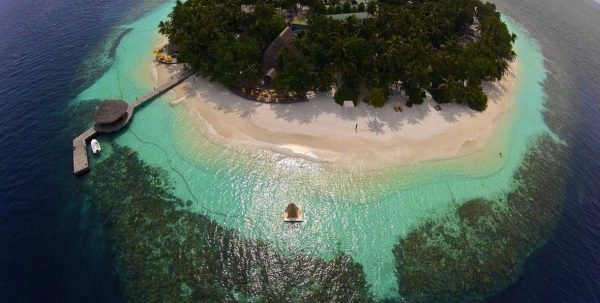 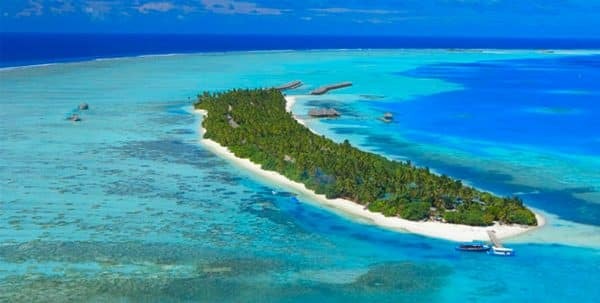 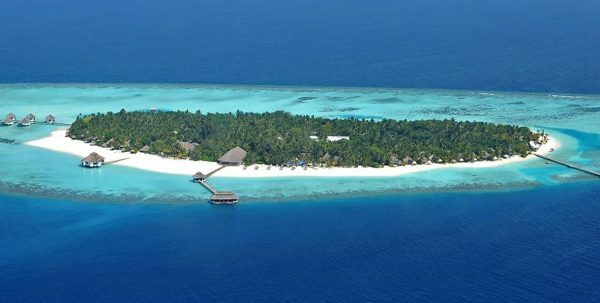 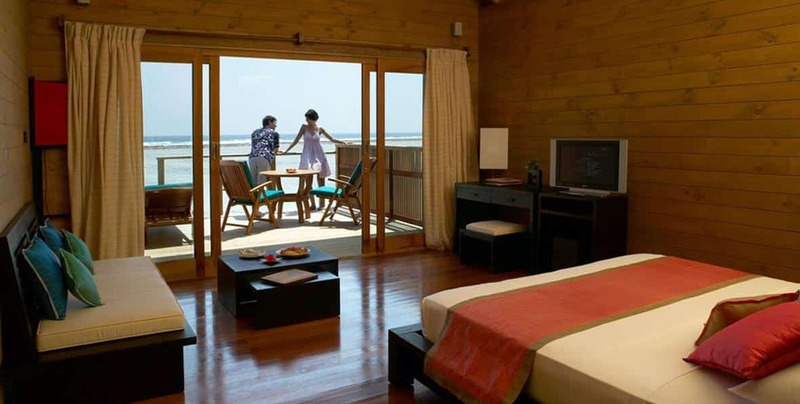 Vilamendhoo Island Resort, is surrounded by a beautiful lagoon and long white sandy beaches. 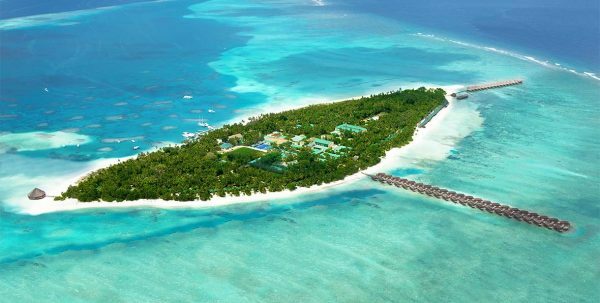 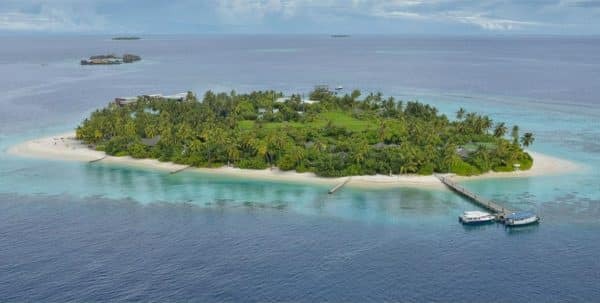 It is the only resort on the island, 900 m long and 250 m wide, about 5 acres. 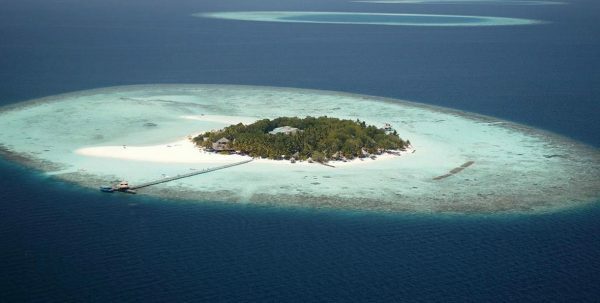 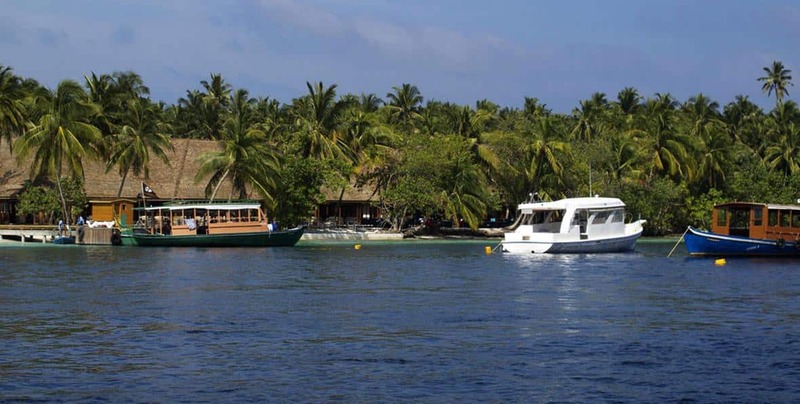 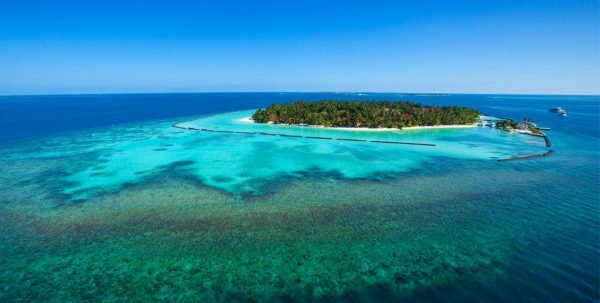 Transportation by seaplane from Malé international airport is a spectacular 25-minute flight. 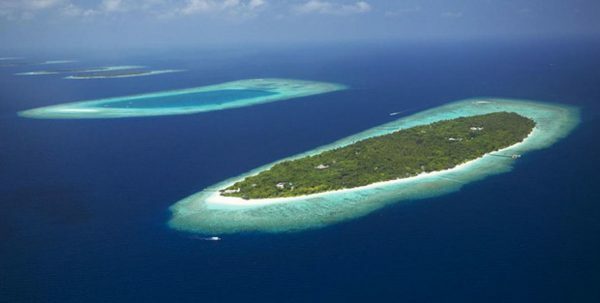 Vilamendhoo is one of the uninhabited islands of Alif Dhaal or atoll of the Maldives South Ari atoll. 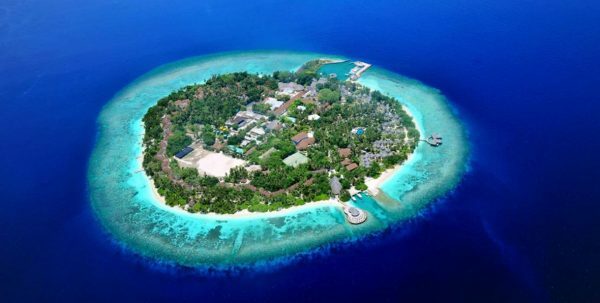 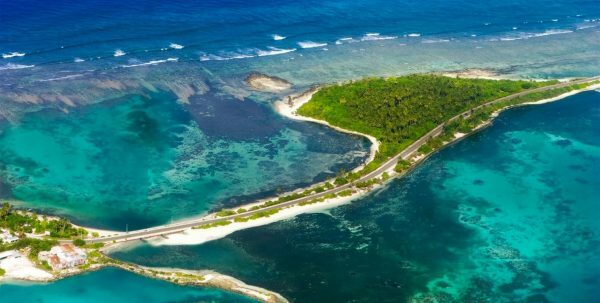 This island has been converted into a tourist complex. 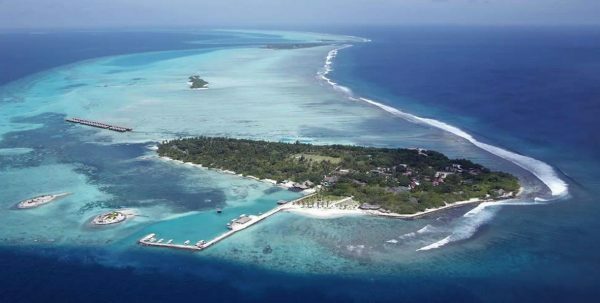 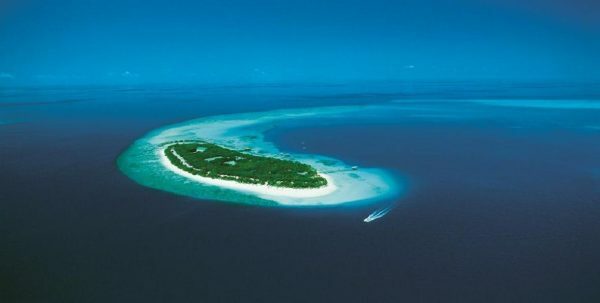 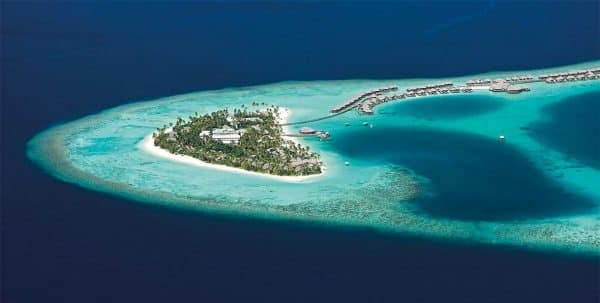 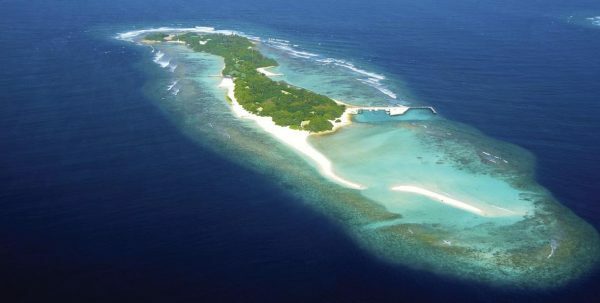 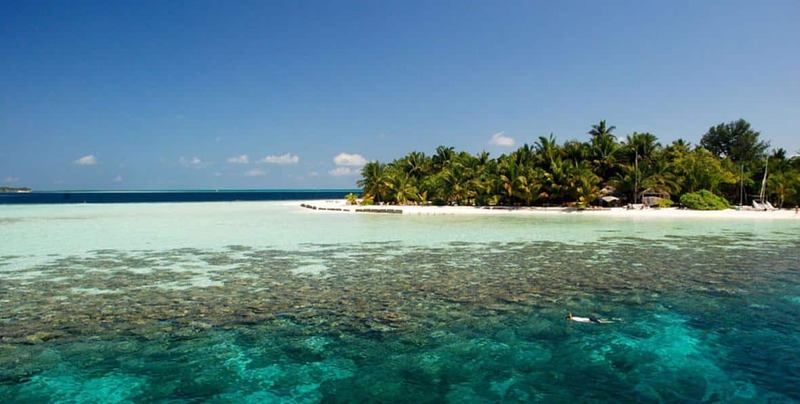 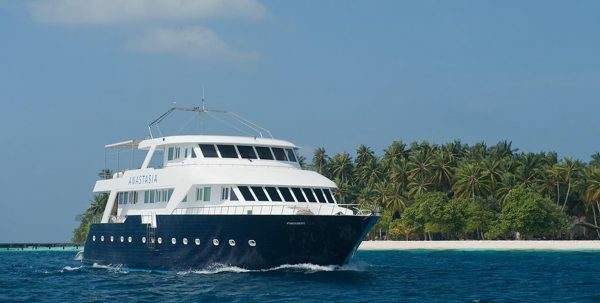 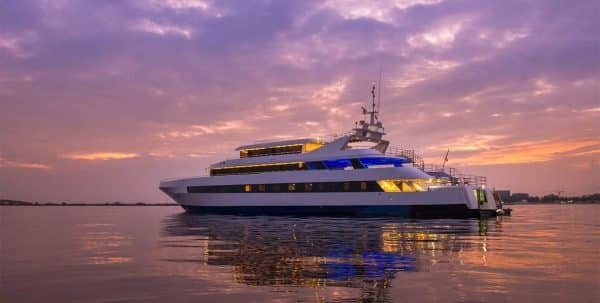 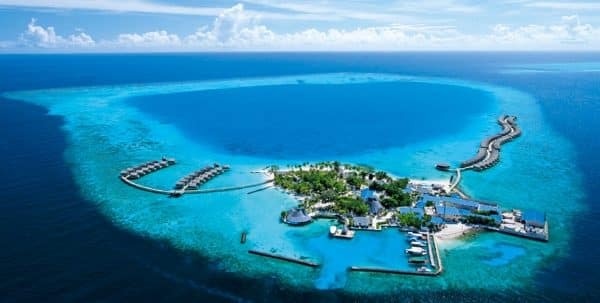 The island is surrounded by a reef and some of the best dive sites in Maldives are located in Ari atoll. 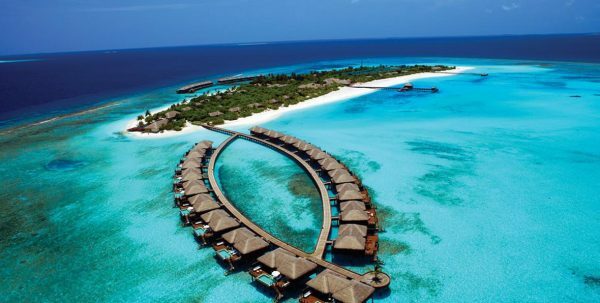 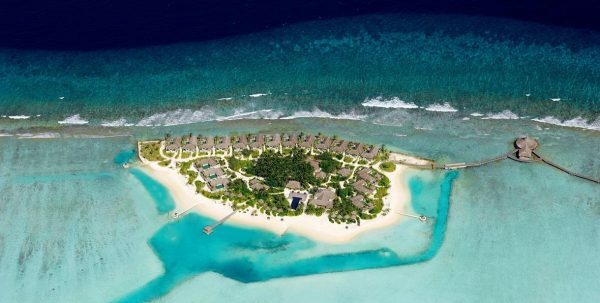 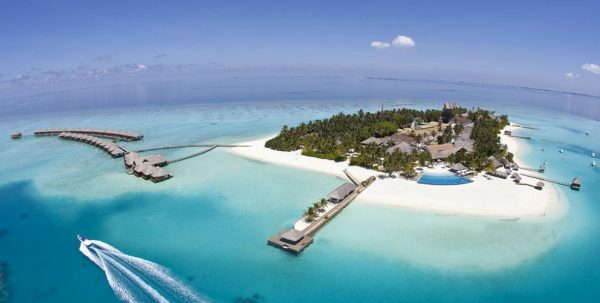 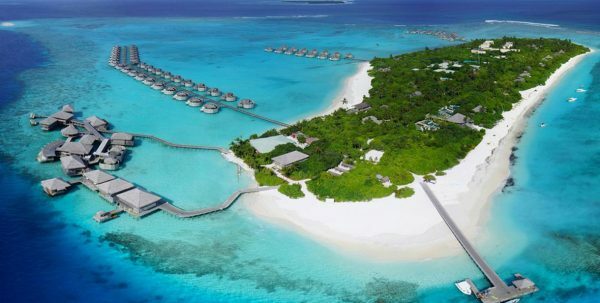 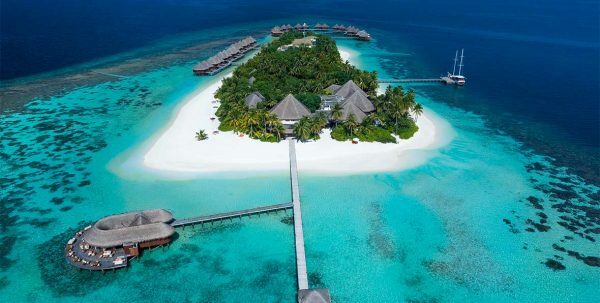 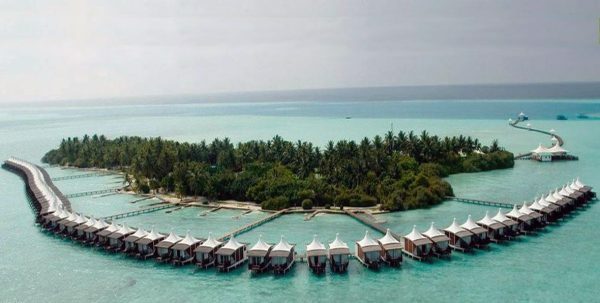 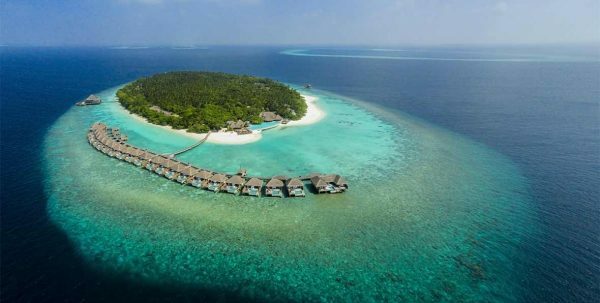 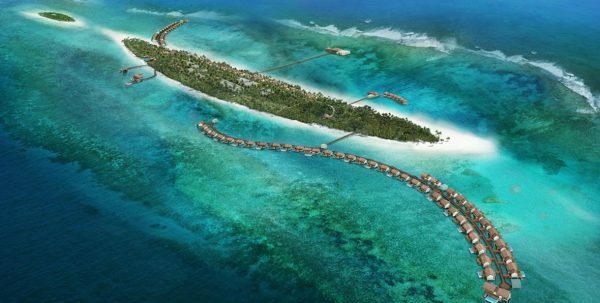 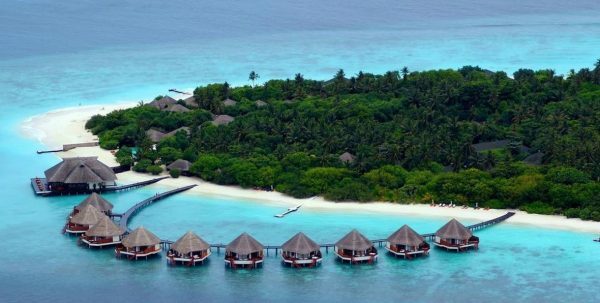 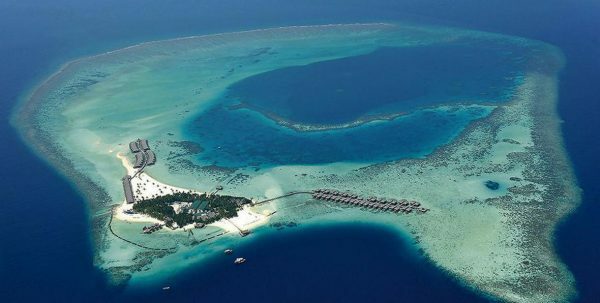 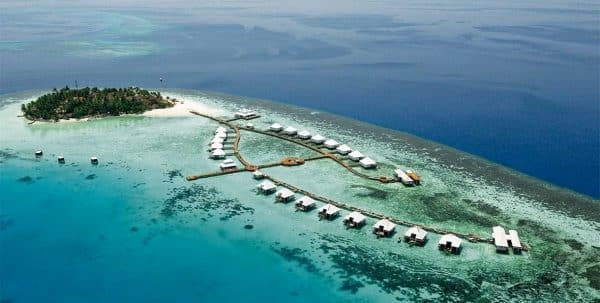 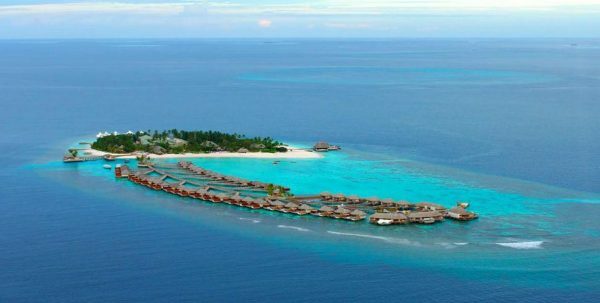 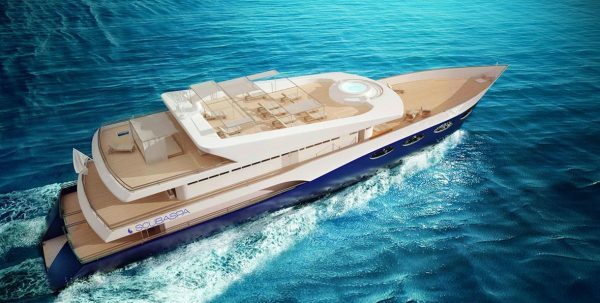 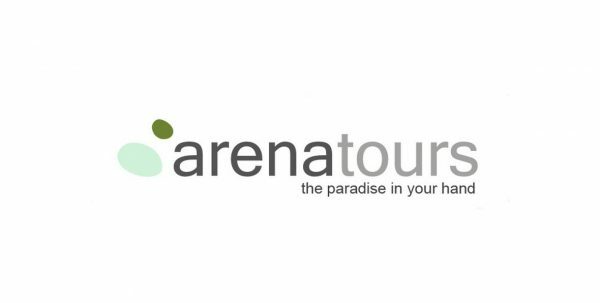 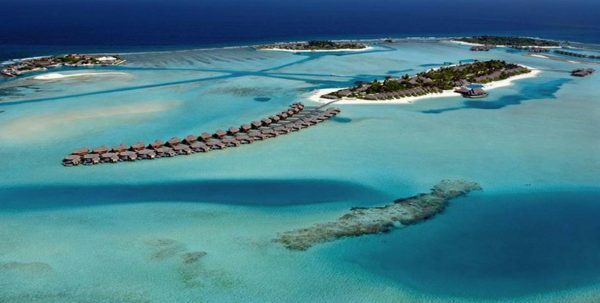 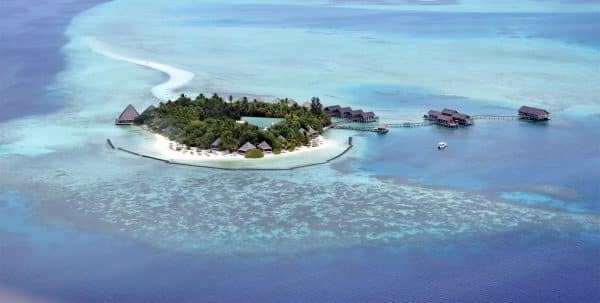 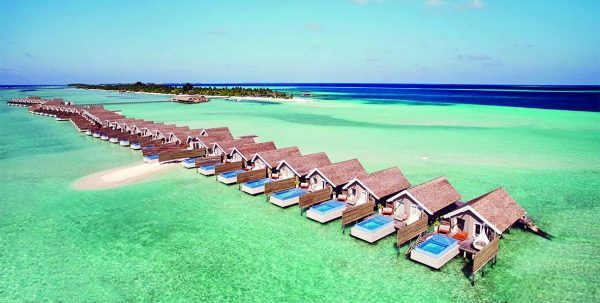 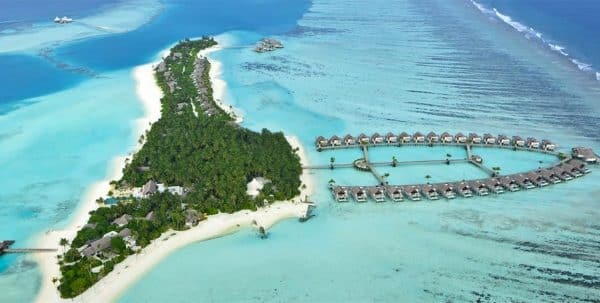 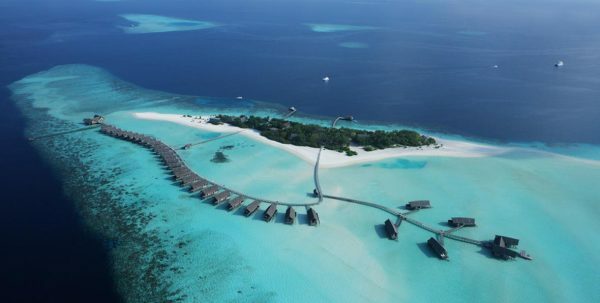 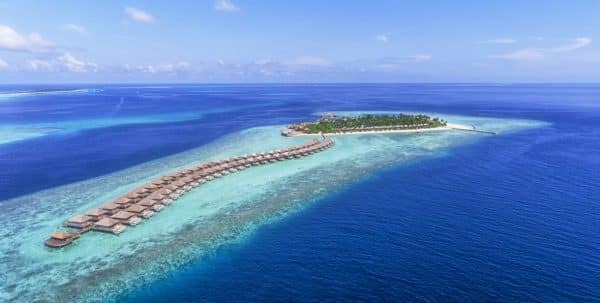 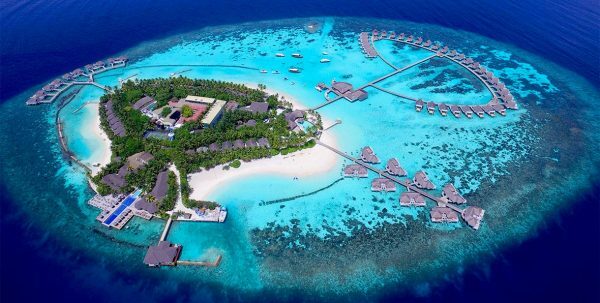 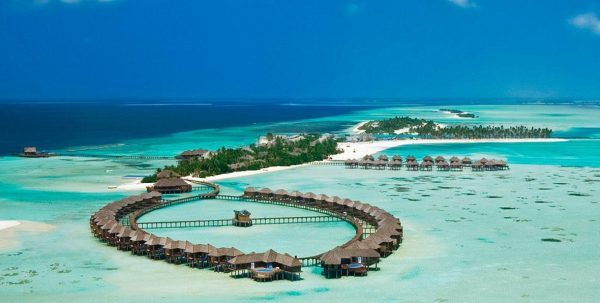 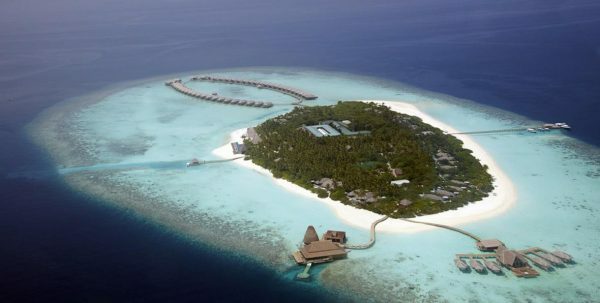 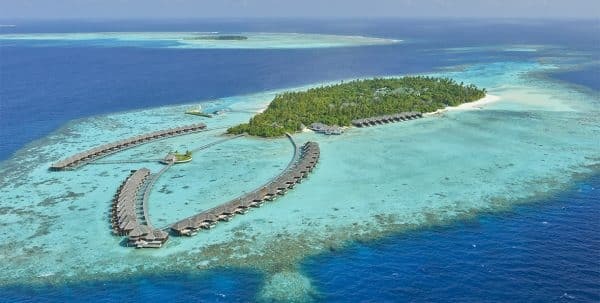 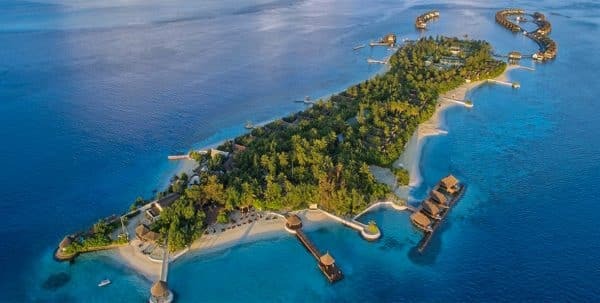 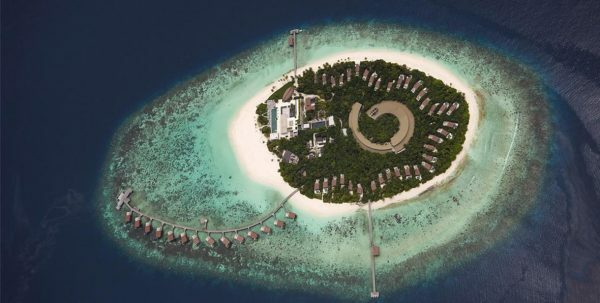 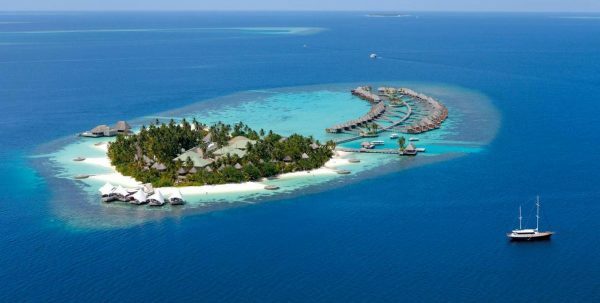 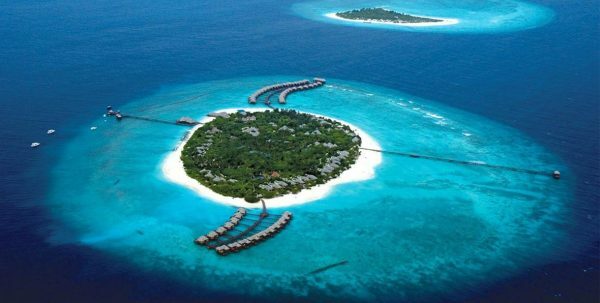 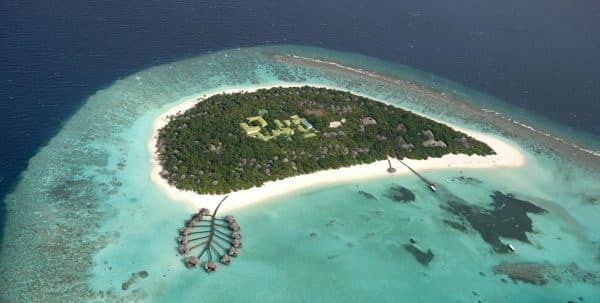 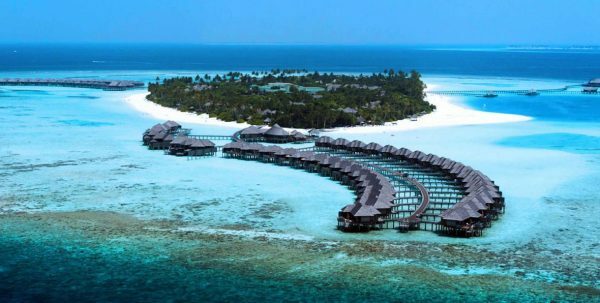 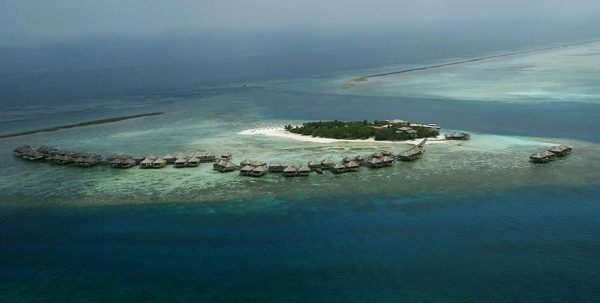 184 rooms: 30 Jacuzzi Water Villas, 30 Jacuzzi Beach Villas, 111 Beach Villas and 13 Garden Rooms. 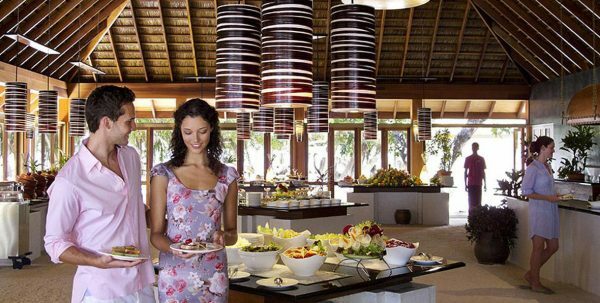 It has got 2 restaurants buffet and á la carte, 3 bars and 2 restaurants. 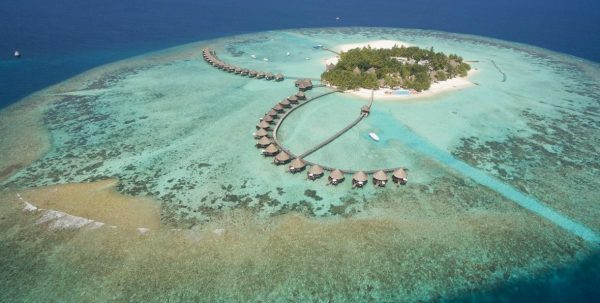 The resort has a beautiful white sand beach of 1.5 km, together with an excellent reef for snorkeling and a beautiful lagoon. 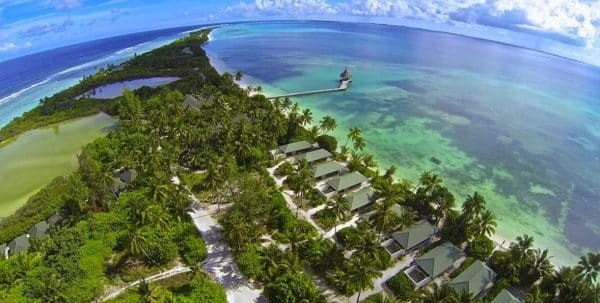 A swimming pool overlooking the beach, a children's pool, a lighted tennis court, mini golf, games room, petanque, bicycles, football field, fishing trips, gym with modern fitness equipment and a children's playground. 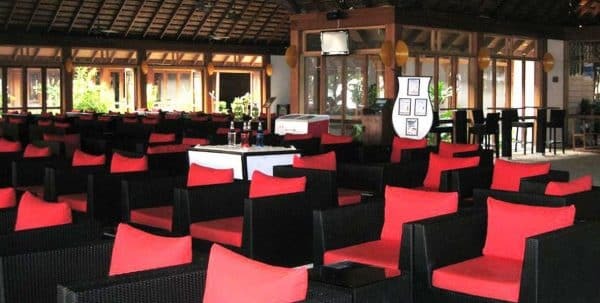 Games room: with table tennis, billiards, Foosball, darts, chess, games and satellite television coverage of sporting events international and a library where you can borrow or donate a book. 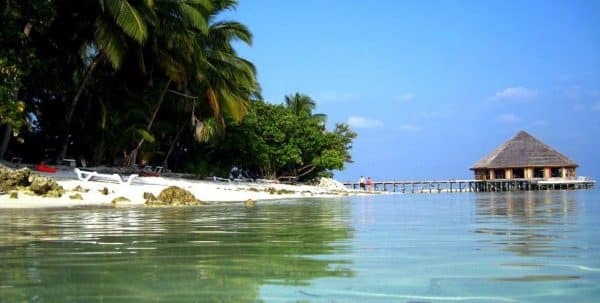 Activities: Darts, bowling, chess, checkers and Scrabble Night program: weekly program of Bodu Beru night, dance show, DJ Disco, divers video, cinema, careers of crabs, live band, table tennis tournament, and much more! 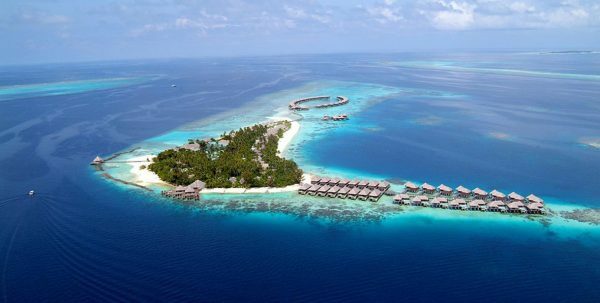 Euro Divers: 10 To 12 Divemaster and PADI instructors are at your service. 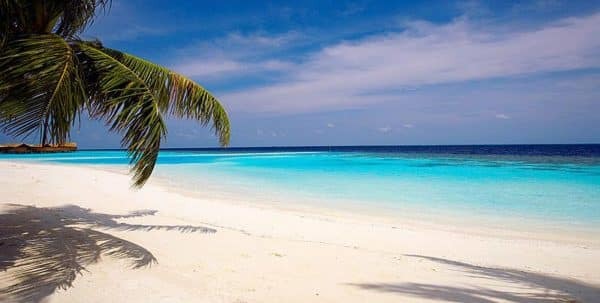 Speak English, German, French, Dutch and Japanese. 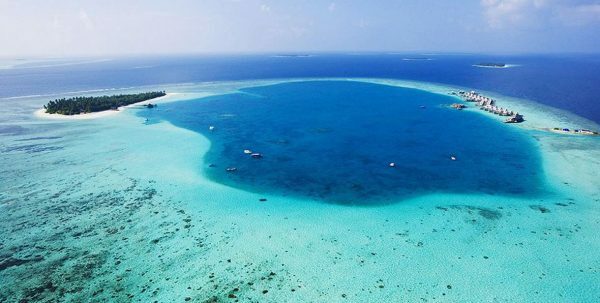 Materials and PADI courses are available in English, German, French, Italian, Spanish, Russian, Dutch and Japanese.Facilities and services include guided scuba diving and snorkeling, equipment and accessories to the sale, rental, and a full program of instruction PADI and NITROX. 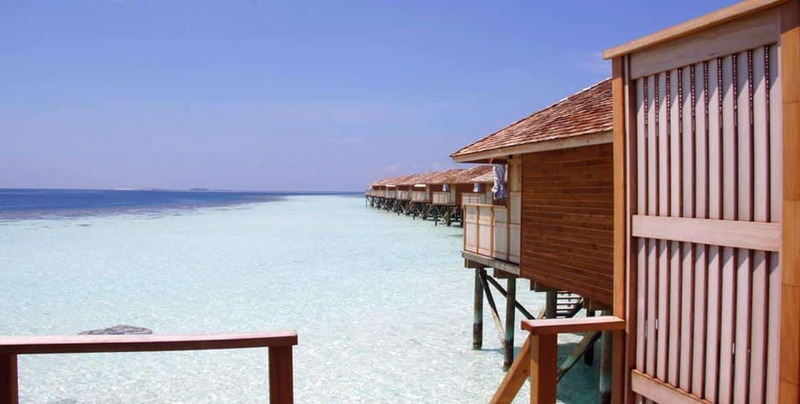 Duniye Spa: The Spa in Vilamendhoo symbolizes a full sensory retreat, where time stops and starts a new trip. 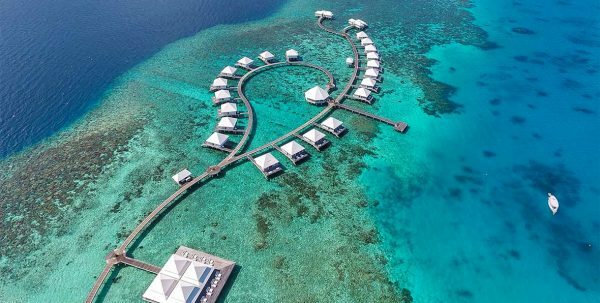 Designed in harmony with the turquoise lagoon, this Spa offers the perfect atmosphere to soothe the body, stimulate the mind and strengthen the spirit.